Marvel-ous Potato Head! Sam Wilson faces his greatest challenge yet - being edible! (But it's plastic, so not really.) 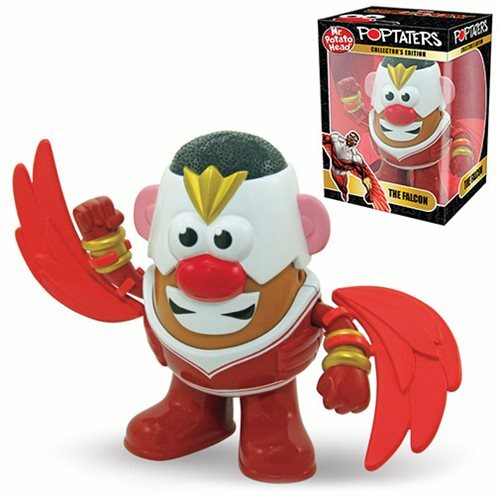 The Marvel Falcon Poptaters Mr. Potato Head is armed with a great set of wings but does not actually fly. This 6-inch tall tater lets you mix and match parts with other Poptaters figures, allowing you to create Marvel's favorite flier. Measures approximately 6-inches tall. Ages 2 and up.